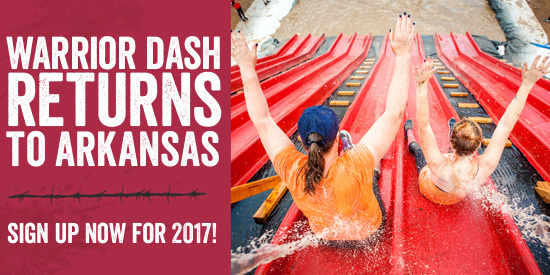 Warrior Dash recently added another venue to the 2017 season with a race in Cabot, Arkansas on October 14, 2017. Warrior Dash continues to add more venues to the 2017 season with Arkansas the latest addition. Currently, early bird pricing of $40.00 is available for the next few days for those looking to get a jump on the announcement. Warrior Dash continues to be a fun 5K obstacle race and mud run for participants of all levels. Warrior Dashes feature over a dozen obstacles for all fitness levels and one of the best after parties in the industry. Warrior Dash currently has 15 stops left on the 2017 season. Find a Warrior Dash near you!